For many of us, soft surface flooring is one of the true comforts of home. With more types of carpeting being offered today than ever before, it’s now possible to install carpeting in all types of homes and businesses, with very few limitations. At Gold River Carpet One Floor & Home in Sacramento we feature a wide inventory of the latest carpeting products, brands, and styles in our Sacramento and Cordova, CA showrooms. Carpeting has so much to offer that comfort is truly just the beginning. Bringing color, texture, stain resistance, and warmth, and design to all of your favorite spaces, a new carpet can be just the change you’re seeking. We know that narrowing down your choices can be challenging at times: that’s why our onsite product experts are always here to answer your questions and steer you in the right direction. Your carpet’s fibers are at the heart of its overall appearance and function. Also known as pile, carpeting fibers are a major deciphering factor in determining how your new rug will manage stains, spills, heavy wear, and sun exposure, among other things. Different pile is woven from different materials, so it’s important to understand the distinctions. Is your home environment a hectic one? Do you suffer from allergies? Or, is a luxurious appearance a bigger priority than durability? With so many different types of carpeting now available, it’s possible to enjoy a soft, welcoming surface in a variety of indoor settings. Stain-resistant carpets can be used to brighten a kid’s room, a den, your stairs, or hallway, while plush carpets are a comforting addition to the master bedroom. One general rule of thumb: carpeting isn’t compatible with spaces prone to excessive humidity or moisture, such as your bathroom or laundry room. Gold River Carpet One Floor & Home is your first and last stop when it’s time for new carpeting. As members of Carpet One Floor & Home, the world’s largest independent flooring store cooperative, we share our purchasing power with over 1,000 other stores- and then share that power with you! You’ll love our personalized services and great prices and we carry all the most beloved carpeting brands. Be warned, however: one of our amazing Carpet One Floor & Home exclusives could quickly become a new favorite. ! Regular cleanings are an important part of having carpeting. However, that’s not the only thing you can do to keep your new rugs in top form. .
Do you like to stay abreast of the latest decorating trends? 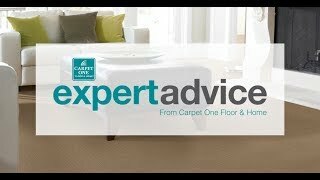 Here are some amazing suggestions, compiled by our designers, to create your perfect carpeting look.